Trent Phillips received his third straight SCJGA Junior Player of the Year award from the awards namesake Jay Haas. 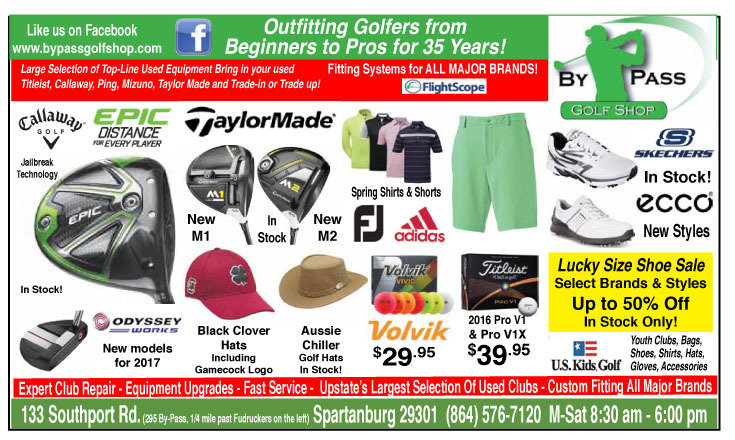 Trent Phillips has been doing things no other junior golfer in South Carolina history has done in the past, and he isn’t finished just yet. 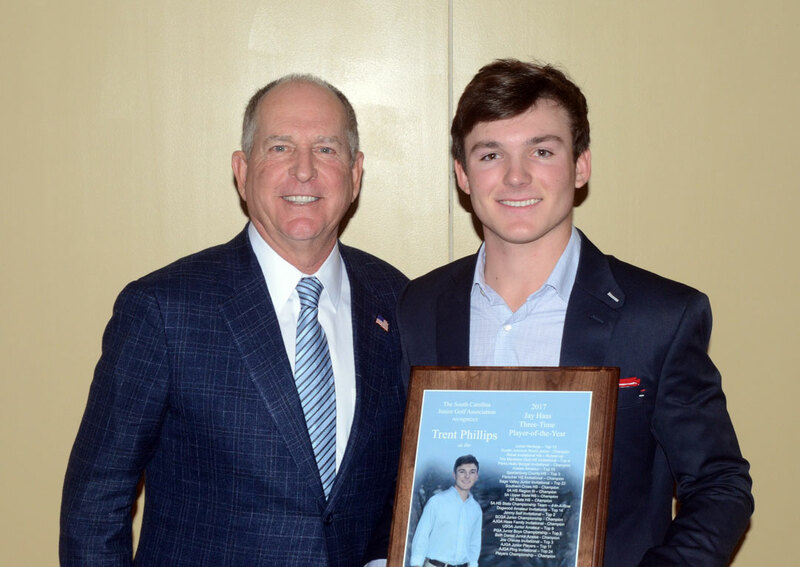 Phillips was awarded his third straight Jay Haas SCJGA Junior Player of the Year award as part of the South Carolina Golf Day ceremonies at the Columbia Country Club. The Boiling Springs High School senior is the first player to win the award three times. He has set a record that may be very difficult to ever top. He has been at the top of the Heritage Foundation Junior Rankings since 2015. Phillips was the winner in 55% of the SCJGA rated tournaments he entered in 2017. “It wasn’t my goal to win three straight, but now that I got it I think it is going to be pretty hard to break,” said Phillips. “I think I will have that record for awhile,” he said. 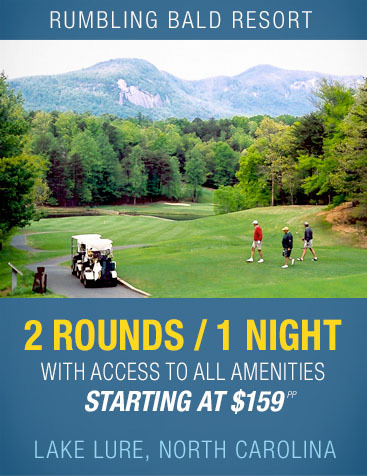 He won 55% of the tournaments ranked by the SCJGA and finished in the top ten 86% of the time. 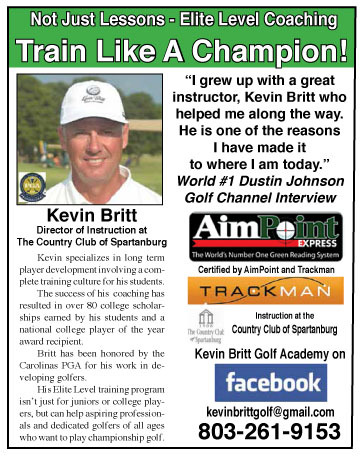 The future Georgia golfer won 12 events and finished in the top-10 19 times. 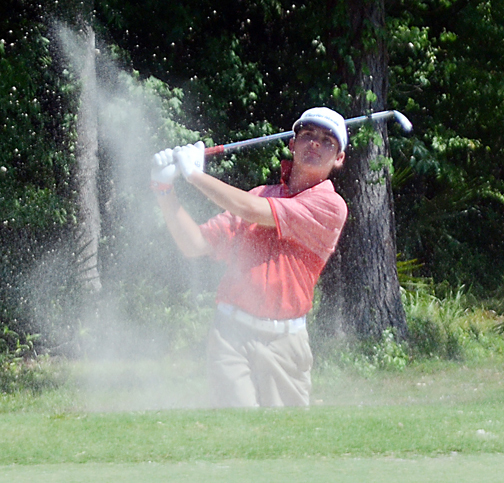 This year Phillips won his third state high school individual championship and his second straight SCGA Junior title. He won the AJGA Haas Family Junior, the Dustin Johnson World Junior and represented the United States in the first Junior President’s Cup. He was third at the PGA Junior and advanced to the second round of match play at the US Junior Amateur. 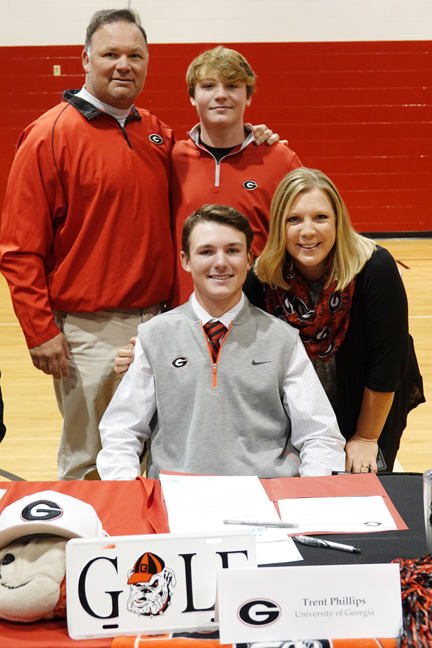 The three-time SCJGA Player of the Year has signed to play college golf at Georgia. “I don’t have many junior tournaments left, but I want to win as many as I can. I got into every tournament wanting to win,” he said. While records are not what he plays for there is one goal he has left before he leaves South Carolina for Athens. “I’d like to win another state high school championship. A win would give me four championships and if our team could win it would be five in a row, and that would be something,” he said. As arguably he top junior player to ever come from South Carolina Phillips is pleased with his success, but knows he is just at the very early stage of what could be an outstanding golf career. “It is surreal to have this much recognition at a young age. I want to take it all in, but I don’t want it to hinder me from my big goal in life to play on the PGA Tour,” said the three time SC Player of the Year.